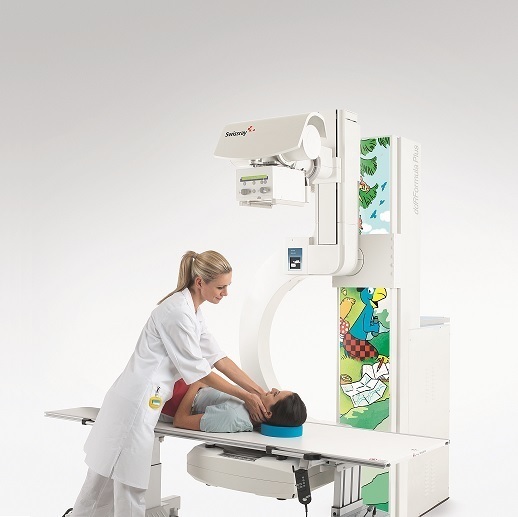 The ddRFormula® is Swissray’s innovative C-arm designed digital radiography system. 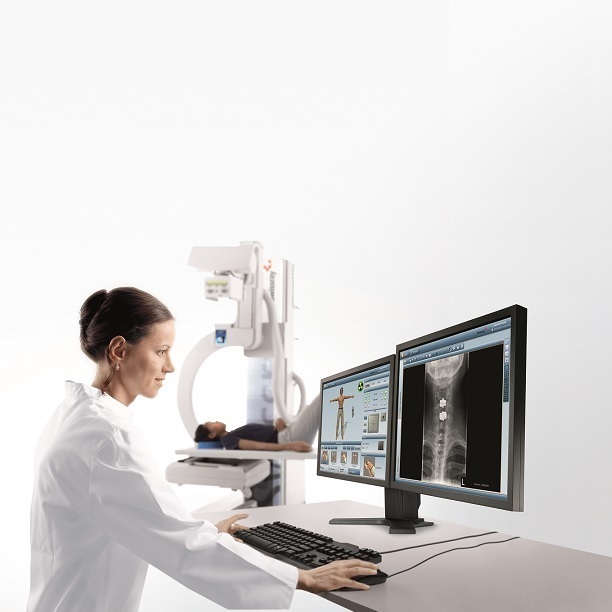 Featuring the exclusive APS™ –Automated Positioning System – it is the most automated DR solution in the marketplace. All system movements are motorized and software controlled resulting in total automatic functionality. 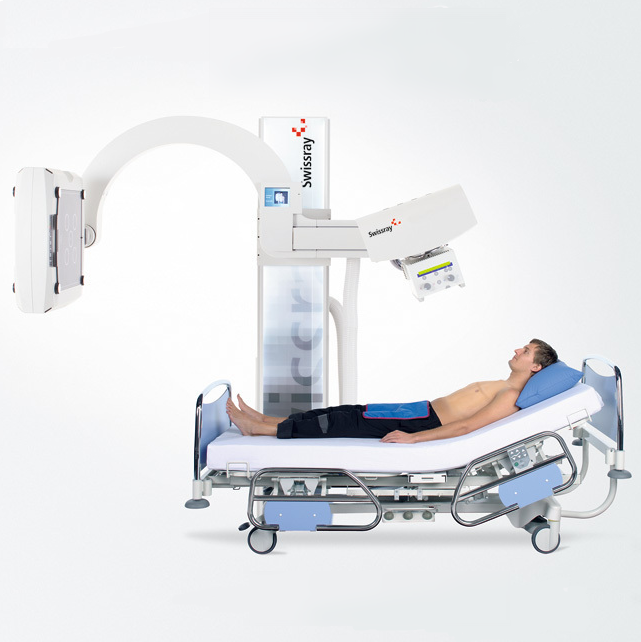 The ddRFormula® features a C-arm design with the X-ray tube always centered to the detector for the fastest, most precise and convenient patient positioning. 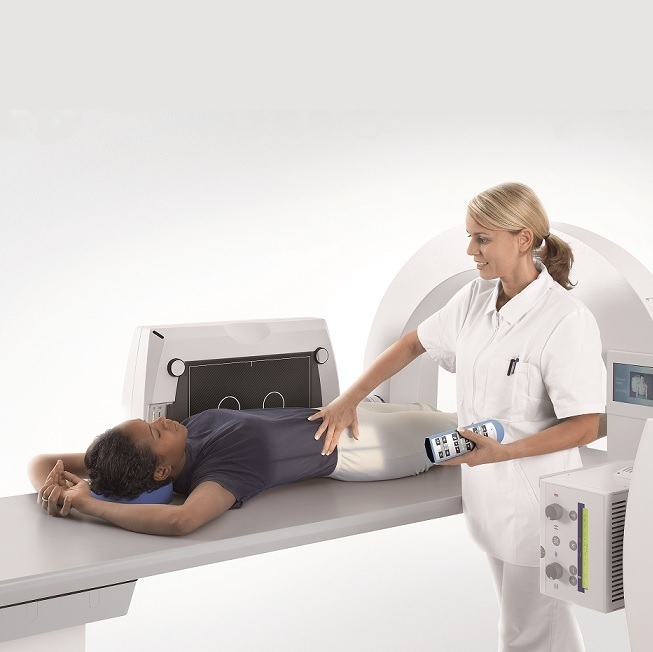 The ddRFormula® Plus version allows for convenient off-detector imaging. 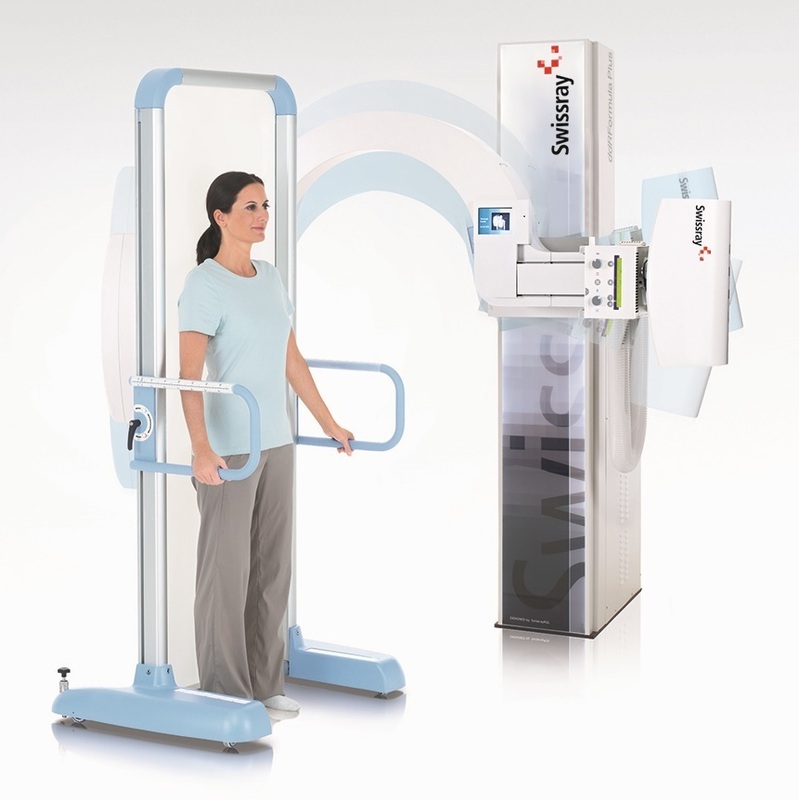 Motorized X-ray tube rotation enables off-detector imaging on cassette-based media for the occasional patient that cannot be transferred to the imaging table. This feature is exceptionally useful with emergency room applications. Copyright © 2019 Swissray All Rights Reserved.